Long Shoreline Park; Huron Sunrise Trailhead, a paved bike trail that runs through Rogers City, along the Coast to Hoeft State Park and Forty Mile Lighthouse; Good parking and launch; Access to paddle around the Rogers City Limestone Quarry Operation. Be careful of lake freighters; This is the first access site West of Thompson’s Harbor State Park; Paddling along the Rogers City waterfront offers a nice mix of views, numerous access points. 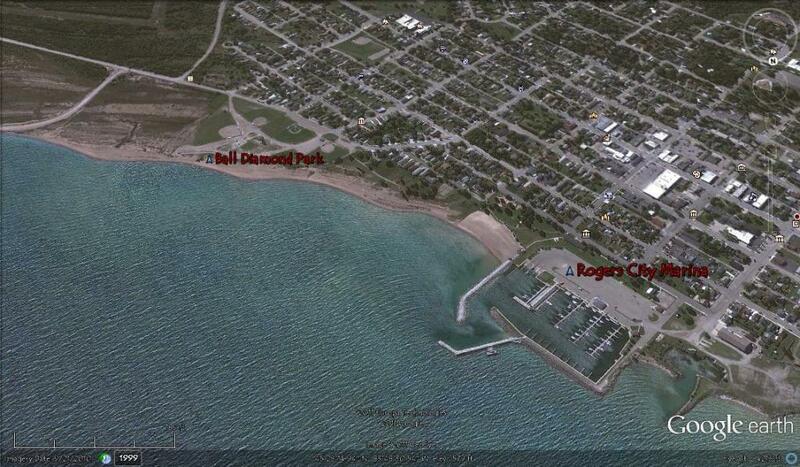 Be careful of recreational and fishing boat traffic out of the Rogers City Harbor. The combination of a parallel bike trail sets the stage a combination biking and Kayak experience.